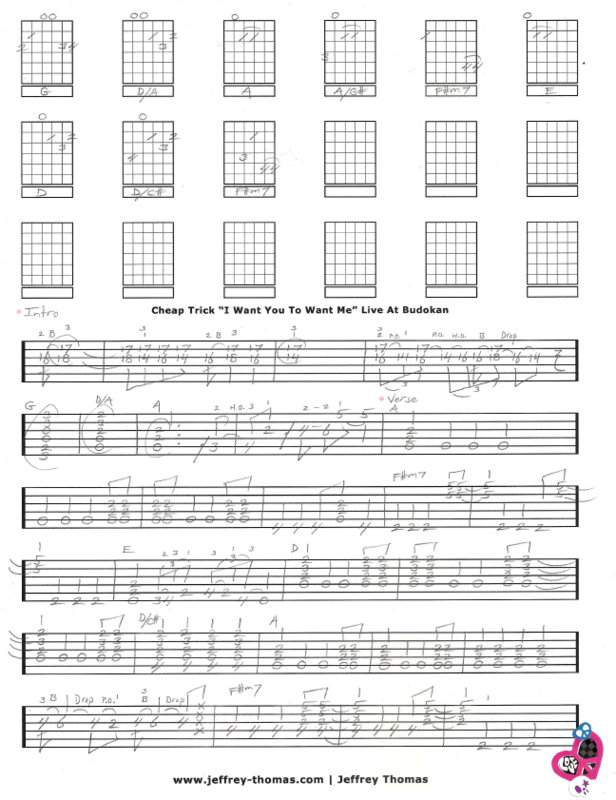 Cheap Trick I Want You To Want Me Free Guitar Tab by Jeffrey Thomas. Learn the complete “Live At Budokan” version which has great guitar playing! I have all the fills, solos and chords so you will sound just like the recording. Many of my guitar students request this song by Cheap Trick and I am glad to have it in my archive. Want the free guitar tab for free? Just send in your email address using the form provided and I’ll send it to you. Looking for online guitar lessons? Fill out the Schedule A Free Lesson form to set up your free Skype guitar lesson today. This song was #1 in Japan and paved the way for Cheap Tricks success. Check out my online guitar tab archives for more great tunes, tabs, tips and tricks.